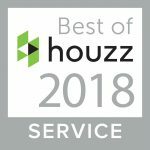 Each year the Houzz community votes on the Best of Houzz. Cheryl Draa Interior Designs has won this prestigious award each year from 2013 – 2018! Follow her at: www.houzz.com/pro/cheryldraainteriordesigns. Celebrating the longtime tradition of small businesses in Cobb County, this annual competition recognizes the Top 25 Small Businesses of the Year. Cheryl Draa Interior Designs was recognized in the Top 25 in 2016 and 2005. The Annual Fall Atlanta Home Show brings ideas, innovations and experts in the home improvement and remodeling industries. Cheryl Draa was invited as one of metro Atlanta’s top eight interior designers. Window Fashions Certified Professionals Program (WFCP) created an Advisory Board and announced its charter members. Cheryl Draa of Cheryl Draa Interior Design has been serving on this board since 2009. The charter advisers include experts from the interior design and window coverings industry and include areas of expertise in fabrication, window fashion design, redesign and staging, and color selection.